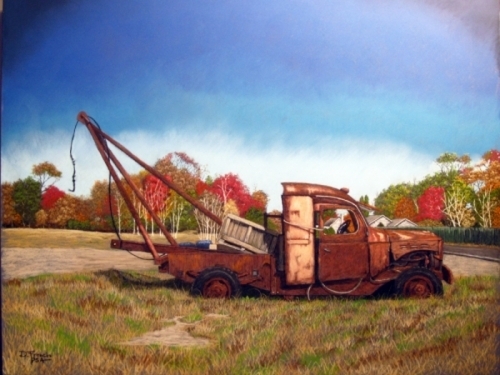 An old rusted out Jeep tow-truck definately in the autumn, if not winter, of its years. 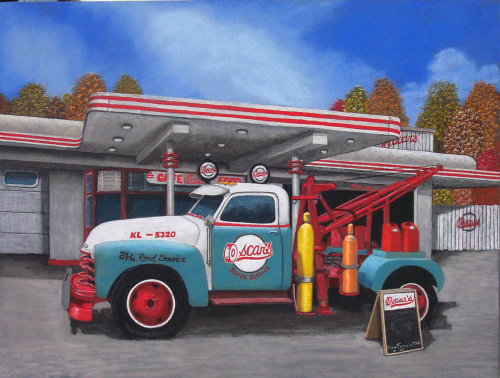 A fifties era tow truck in front of an early gas station. 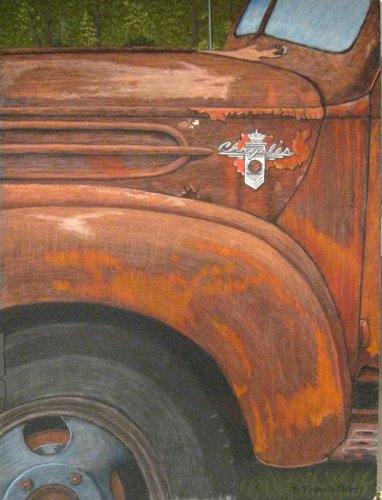 Front view of a 1947 Chrysler Truck. 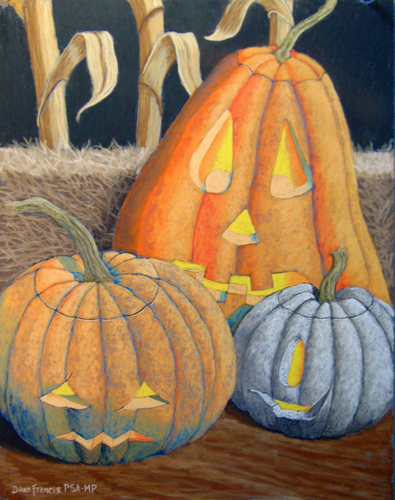 The pastel is inspired by my good friend and fellow artist Stu Eichel. 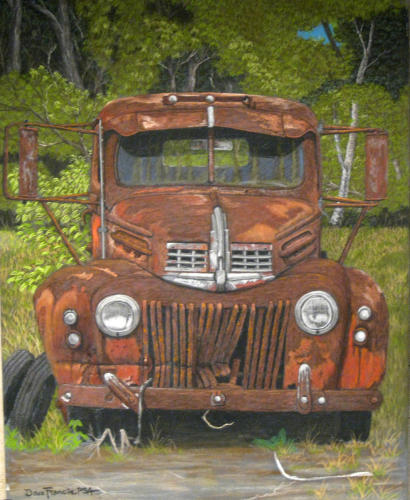 Stu does a lot of oil paintings of vehicles in similar settings. Another view of the same truck shown in One For Stu. This time more focused on the old Chrysler emblem.